No tickets required. Free admission. Open to the public. 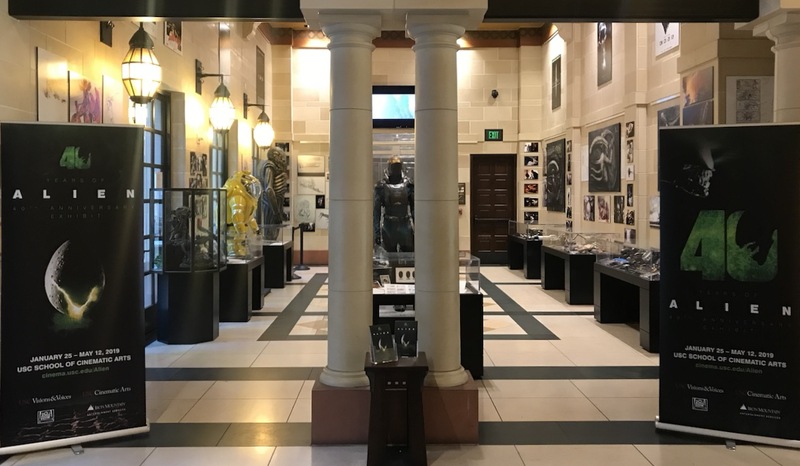 The USC School of Cinematic Arts and 20th Century Fox Archives present an exclusive anniversary exhibit celebrating 40 years of one of Hollywood’s most enduring and beloved cinematic franchises. 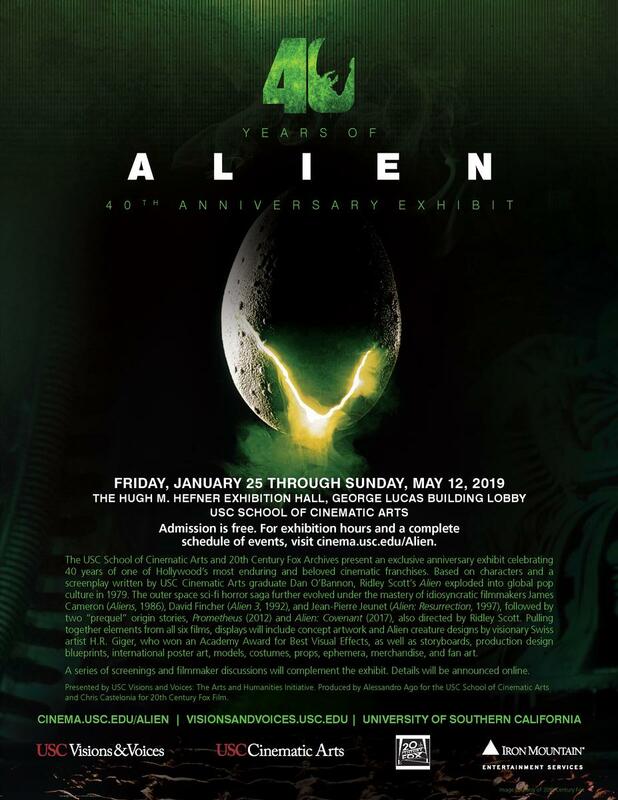 Based on characters and a screenplay written by USC Cinematic Arts graduate Dan O’Bannon, Ridley Scott’s Alien exploded into global pop culture in 1979. The outer space sci-fi horror saga further evolved under the mastery of idiosyncratic filmmakers James Cameron (Aliens, 1986), David Fincher (Alien 3, 1992), and Jean-Pierre Jeunet (Alien: Resurrection, 1997), followed by two “prequel” origin stories, Prometheus (2012) and Alien: Covenant (2017), also directed by Ridley Scott. Pulling together elements from all six films, displays will include concept artwork and Alien creature designs by visionary Swiss artist H.R. Giger, who won an Academy Award for Best Visual Effects, as well as storyboards, production design blueprints, international poster art, models, costumes, props, ephemera, merchandise, and fan art. If you would like be updated about our screenings as they get scheduled, please e-mail "Subscribe" to aago@cinema.usc.edu to join our mailing list, or check the website at a later date.